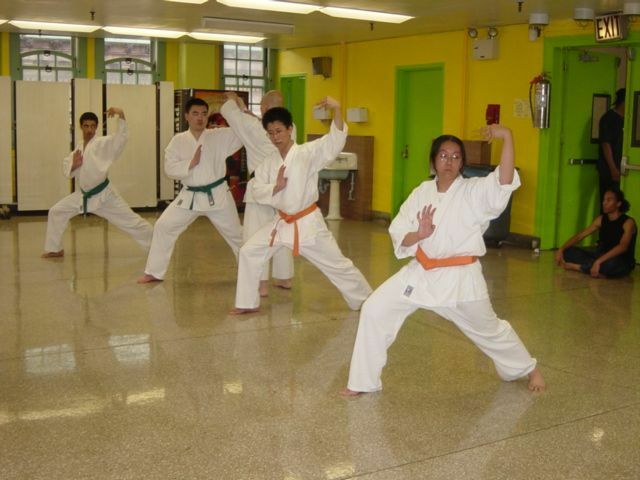 Throughout the country, the Martial Arts have been incorporated into the curriculum of many elementary and secondary schools. 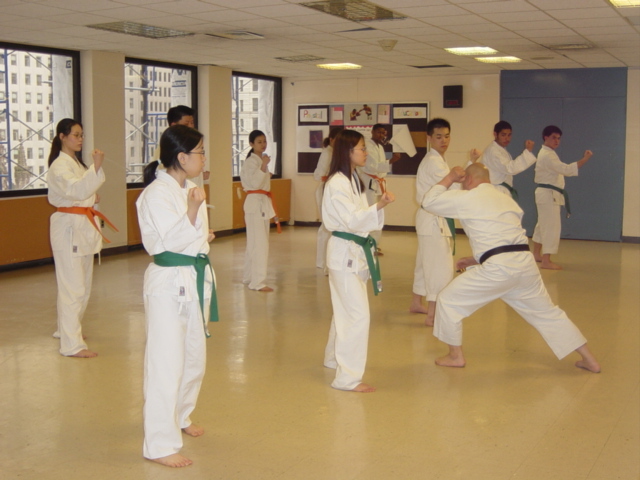 As an alternative to gym (physical education) or as an after-school program, the popularity of the Martial Arts has grown. Hello and welcome to Martialforce.com. My name is William Rivera a Yudansha and student of Eddie Morales Shihan. 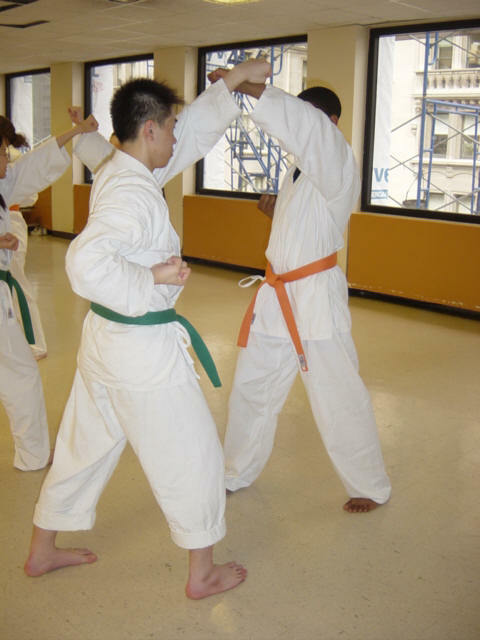 The following article and interview is one of several I will be doing on the integration of the martial arts in our school system and after school programs. To some, it will be a testimonial to the success of the programs, to others it will bring to light the effects that the martial arts can have on empowering and enhancing the lives of our youth. What most would consider to be greatness and powerful about the martial arts is usually exemplified by the benefits derived by it’s practitioners. 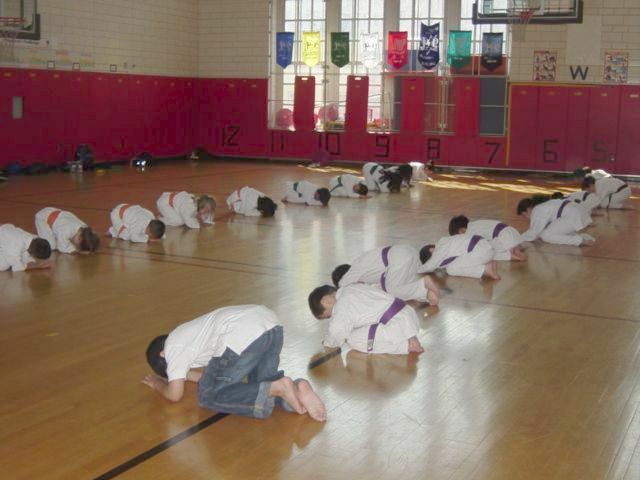 This is apparent in the inclusion of the martial arts as part of a schools curriculum or part of an after school program. 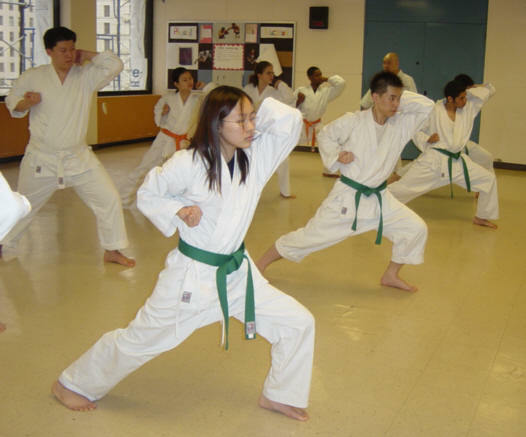 Parents and teachers concerned in further supplementing children’s education, and providing an activity of interest that will be a positive influence on their lives, have found the martial arts to be a great enhancement in student’s abilities. On the East Coast, alone the success of these programs has been so overwhelming that the availability of qualified and quality instructors is not enough to appropriately fill the need. 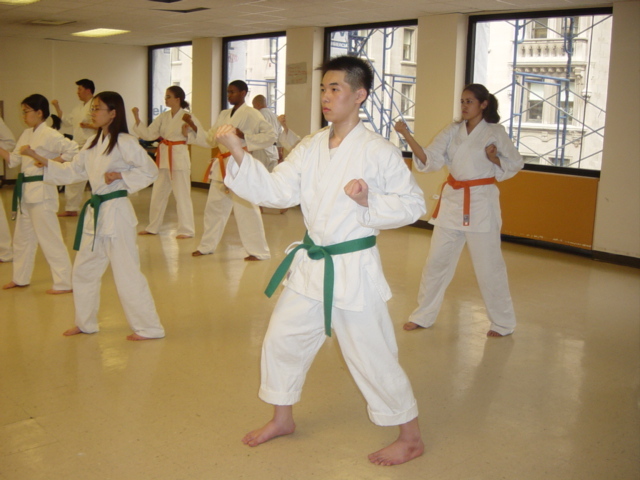 In New York City alone, instructors such as Bonnie Baker, Nicole Russo, Pedro Pena, and Kow Loon (Kayo) Ong, (to name only a few), have taken their many years of training and teaching, and successfully created programs that have responded to that need. These instructors and their programs are in constant demand and are sought after by the New York City school system. Over the following months, we will be highlighting some of these programs and learning why they work. 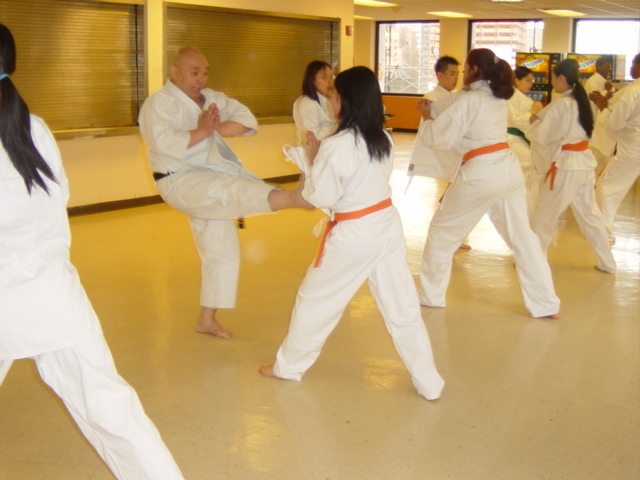 This first article introduces Kow Loon (Kayo) Ong a Master of Goju Ryu and Chairman of Chi-I-Do. (An in-depth article on Master Ong will be in an upcoming issue. Martial artist will enjoy reading about Master Ong, his unpretentious candor about the martial arts the Goju style and his adherence to logic and facts are a breath of fresh air in a world of egos). 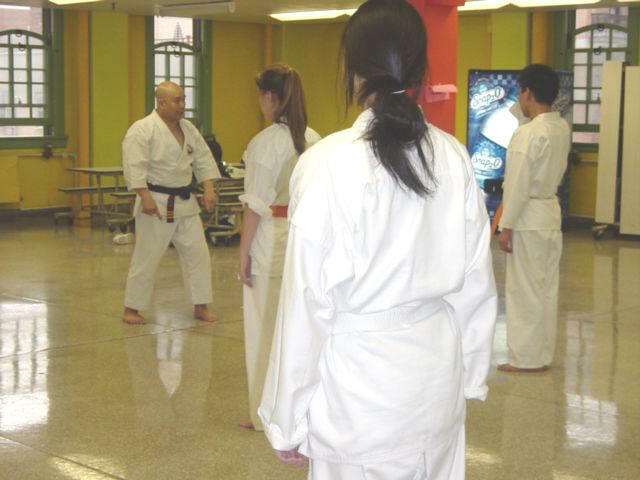 Kayo (as Master Ong prefers to be called), provides the instruction for the martial arts programs at various public schools in New York City. His innovative approach to teaching martial arts is impressive to many, except to him. The reason why is as Kayo states, he teaches a system that has been tested, researched, and proven successful with a foundation laid down over a century ago. 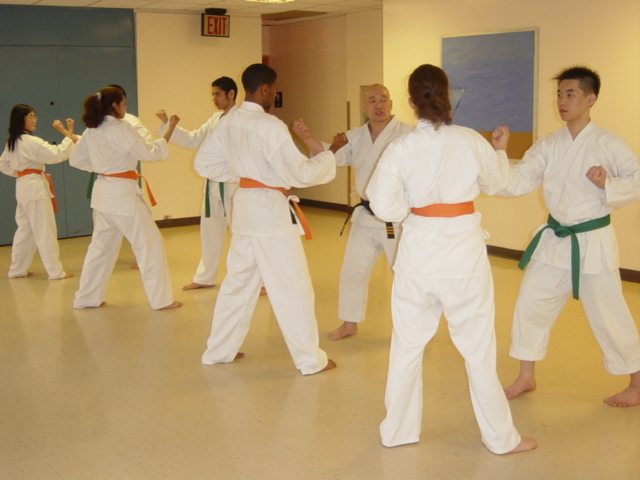 I was given the opportunity to observe the martial arts classes at three of the schools where Kayo teaches. The School of The Future where his students range from grades 6 to 12, PS 130 (Hernando DeSoto School) students range from Pre.K. to 5th, and The High School for Leadership and Public Service which also includes, students from the High School of Economics and Finance with a class range from 9th to 12th grade? M.Force: How long have you been teaching Karate in the public school system? M.Force: “Why has there been such a rise in the demand for the martial arts in after school programs? Kayo: “You know what? The demand has been around for some time. 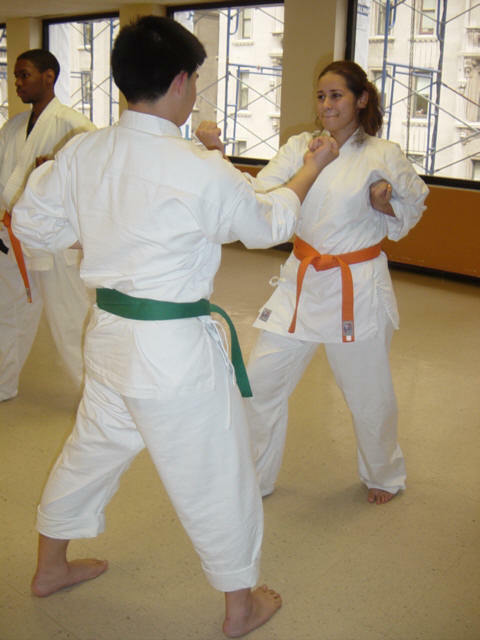 You are hearing more about the success of martial arts training, especially here in the United States. The media has recognized the success of these programs, and allowed for more coverage. 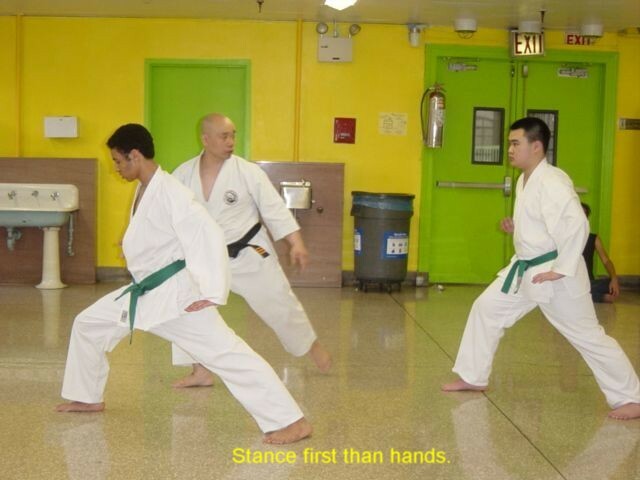 Take this article, you not asking me what style of martial arts are better? Is Karate better than Kung-Fu? You are not asking me about political affiliations in the martial Arts. 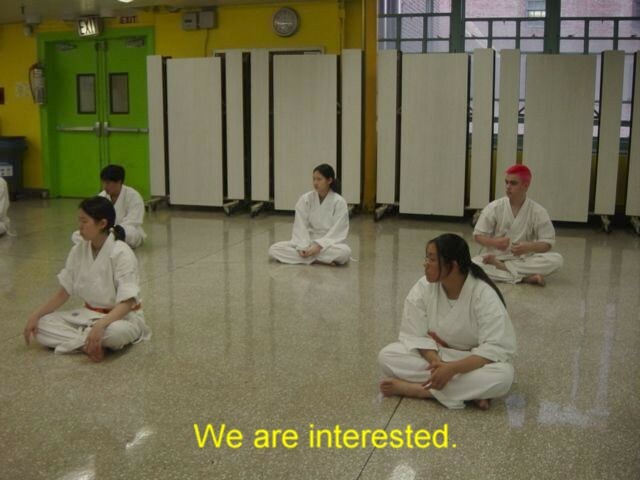 You are asking more about karate and our youth. This what the media, parents and educators are more concerned about. They are seeing the successes, removing the politics and pettiness, and saying let us go back to what is tried and proven. M.Force: You are saying that this is time proven and been around for a while. Can you elaborate? M.Force: Let me play devil’s advocate here. I have done the research. 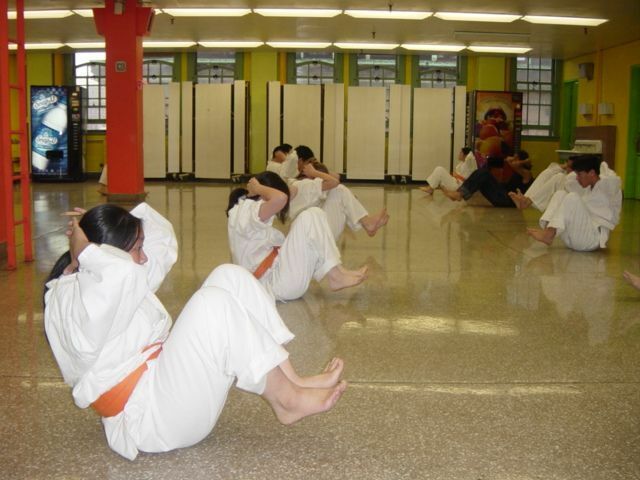 I have asked the questions and many people feel and fear that the martial arts are “foreign”. This is the United States of America. How can it work here? 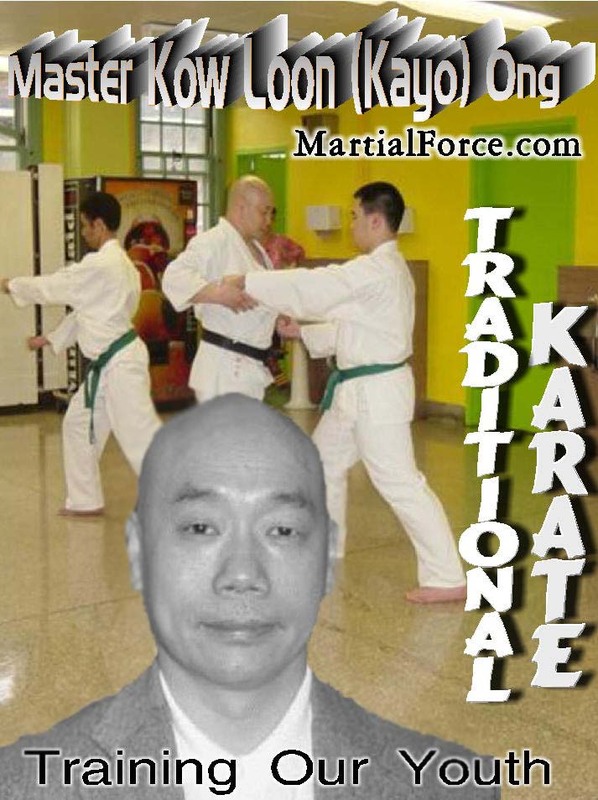 M.Force: What about the belief that the martial arts teach violence? 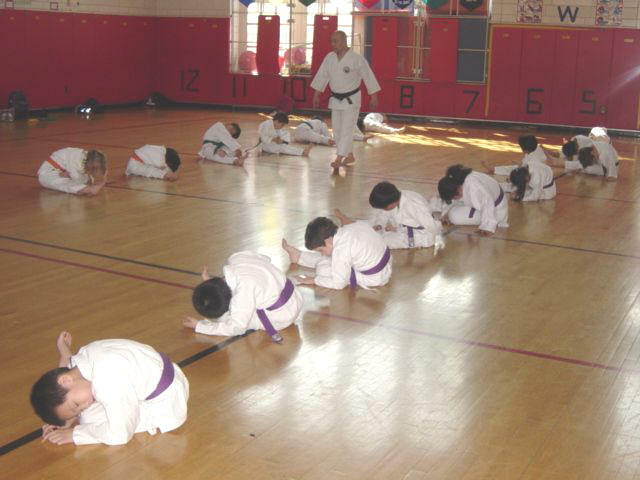 Kayo: “Traditional, karate teaches peace using guidelines on how to conduct oneself on and off the dojo (where classes are taught) floor. It teaches you to be civil to another person and humankind in general. Violence is all around us. As sad as it is, violence afflicts all of our children, in our schools, within our homes, and on our streets. It does not disappear by us ignoring it, or hold on to the notions that violence affects “other” people, and not in our neighborhoods. M.Force: Let us get into the how. Let us be specific. What makes your programs work with such a diverse range of ages? Kayo: “As you saw, the three programs had children ranging in age from six to eighteen. My groups are set up according to age. For example, at School of the Future, my 6th, 7th and 8th graders will make up one group, and the 9th through 12th graders, are another group. At PS 130, our classes are comprised of all the grades together, kindergarten through 5th. The curriculum and the principles are the same for each student. I did not invent the Goju-Ryu style, I am teaching them Goju Ryu using a highly structured format for students to learn from. The methods I use are based on Chojun Miyagi concepts and advocated by one of his disciple Seikichi Toguchi. Yes, we make it fun at times, but they train hard and they absolutely learn the basics. The core to teaching my students is based on their mastering of the tried and true basics very simple and straightforward. M.Force: You have mentioned that the style is not what is primary. The program provides the positive outcome. In fact, the names of other instructors teaching in the public school system that you advised me to speak to are from diverse styles. I thank you. My question is, for those who are curious of what you specifically teach in your programs, can you please explain the name of the style and the curriculum that is followed? Kayo: “Sure. The style I teach is Chi-I-Do Goju Ryu. It is a classical Okinawa martial art with a structured format I could go into the history but let us leave that for another time. The foundation of the style goes back over a century. I did not invent it and I teach it the same way it was taught to me. 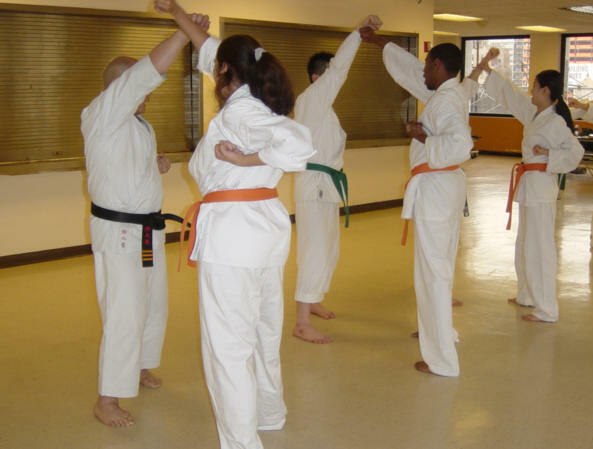 The curriculum consists of, and not limited to, Taiso-Daruma, which is total body exercises, Kihon, which are the individual moves of the style, Kata, which are the sequential patterns of movements and self defense, Bunkai Kumite, which is the application of the kata, and Kiso Kumite, which is attack and defense movements done with a partner(s). M.Force: In reference to the children in your classes, the warm-up exercises seem different from what is noted as calisthenics or taught in other martial arts systems. Can you explain the difference and how these exercises help the students in such diverse age groups? 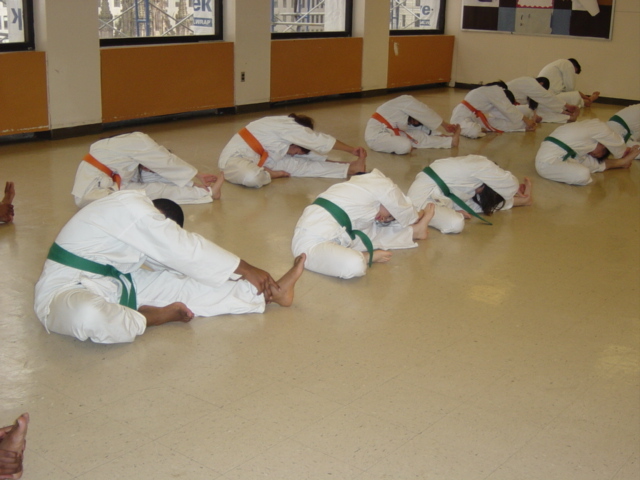 Kayo: “What you see in most schools is some rough warming up exercises which has nothing to do with the harmonious body building, and stretching exercises that enhance your performance in the martial arts. 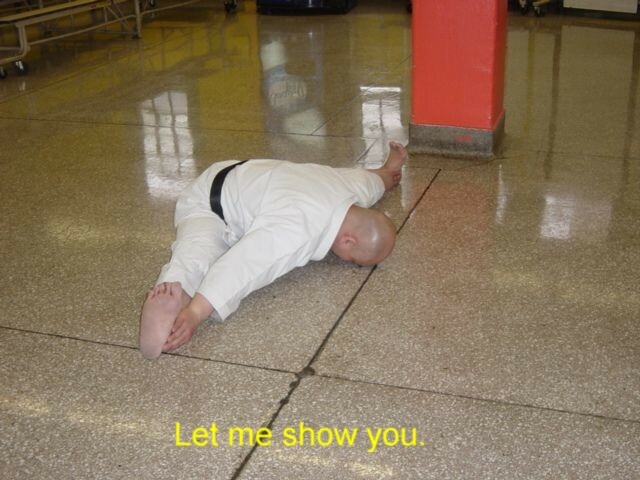 I teach my students not to just place the arm here, or extend their leg this way. They are learning how and where, but with the why behind it. You are placing your arm this way because from this point you can do this and then. I teach them to think and learn “the why” so they can understand the intent of the why. I teach them to think, not to be robots. Kayo: I allow my kids to giggle and all that, that is where I change the protocol, not the physical protocol. You saw in every class they performed 50 to 100 kicks, the kata were strictly adhered to, I teach the martial art as an ART. M.Force: We are aware of the benefits associated with Karate and children. The values they learn such as integrity, honesty, respect, self-confidence and so on. 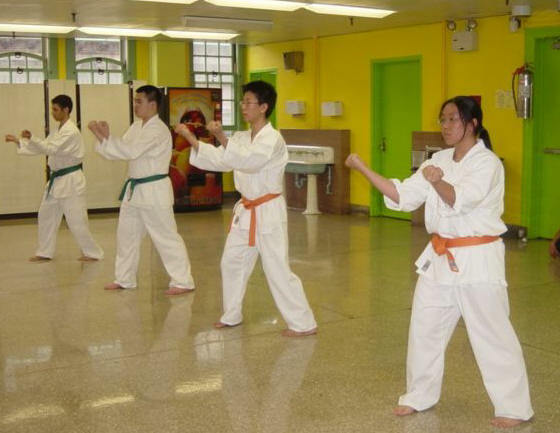 We are also aware of what the martial arts program helps them attain: Leadership skills improved grades, physical fitness and more. Would you mind us talking to you on these aspects and others at a future date? Kayo: I would not mind. M.Force: In closing. 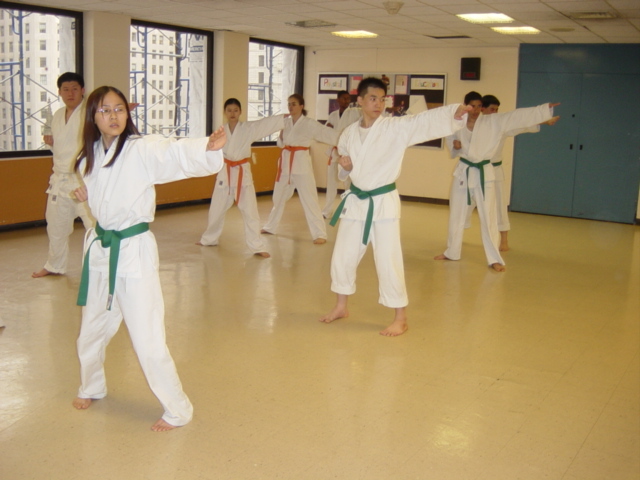 I know you as well as your wife Lai who is a superb instructor in her own right and Ken (I was introduced to by Kayo) are in demand to teach the martial arts throughout New York. Could you please tell us about the affiliations you have that make these programs available to our children? Kayo: There are two organizations that I work for. With the Educational Alliance, there are two directors. Ms. Mitzi Sinnott, is the director of the After School Program to the Middle and the High School of School Of The Future. Mr. Michele LaRocca, is Director of the DA3 (Downtown After 3' Clock) with The High School of Leadership and Public Service and The High School of Economics and Finance. Under the I. S. S. Program (Immigrant Social Service Inc.) Mr. Howard Epstein is the director of After School Program of PS 130 The Desoto School. Due to the success of my program, I was asked to teach at other schools, since I cannot, due to my time and date already allocated at the various schools, my wife Lai is also teaching. For the last two and half years, she is teaching at PS 64 located on Ave B and 6th Street in Lower East Side. PS 64 is also under The Educational Alliance with Ms. Juliana Cope, as the director. With Ms. 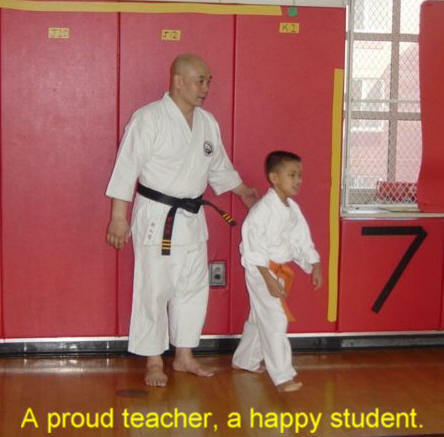 Cope support, the Karate program has been very successful where Lai was asked by another director to teach at another Public School in the Lower East Side. This is how we know our program is successful besides the student results, but also by the demand of the various directors of the program. M.Force: Thank-you Kayo, Lai Wah Ong and Ken Eng for your time and the information provided.